As one of the most visited national, natural landmarks in the region, Ichetucknee Springs State Park is a Columbia County must-see. It’s centrally located along the Ichetucknee River, and connects to several springs, including Ichetucknee, Ginnie, Lily, Poe and the High Springs Emporium. 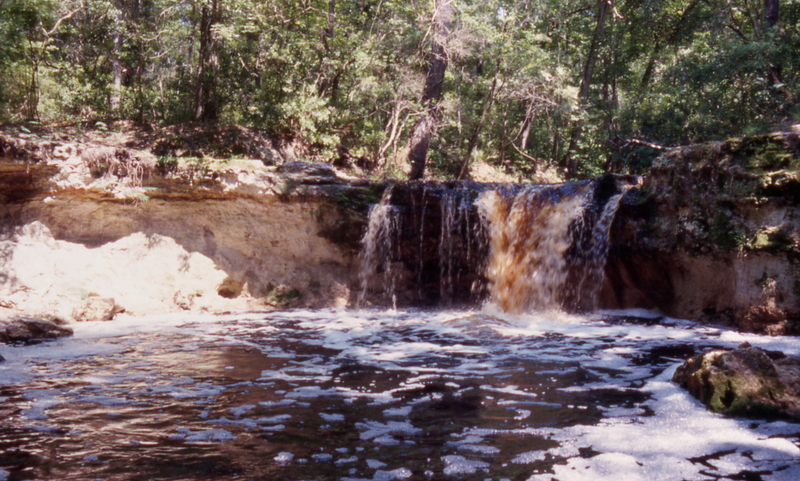 The Ichetucknee River offers several aquatic activities such as scuba diving, snorkeling, cave exploration, swimming, fishing, paddle boarding, canoeing and kayaking. 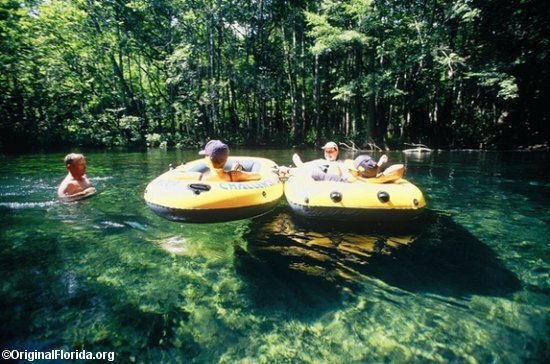 The river is also recognized as one of Florida’s top tubing locations, and tubing serves as the river’s number one water activity during the months of May through September. Visitors can rent equipment for kayaking and tubing through outside vendors, which are located close to the park. Ichetucknee Springs State Park has three main hiking trails: Blue Hole Trail, Trestle Point Trail and Pine Ridge Trail. Each are located at the park’s northern entrance and offer visitors a taste of the different Florida terrains. Blue Hole Trail is the largest trail in the park, and connects to the park’s Blue Hole Spring. The trail is a half-mile hike through the forests and flood plains that surround the Ichetucknee River, and is perfect for wildlife observations. The shaded Trestle Point Trail winds along the shoreline of the Ichetucknee River through an area originally mined by early 20th century phosphate miners. Remains of the mines can still be seen from Trestle Point Trail, as well as an assortment of wildlife, including turkeys, sparrows and other birds. The Pine Ridge Trail carves its way through a two-mile loop of the Ichetucknee Forest. It’s shaded by a towering oaks and longleaf pines, and offers visitors breathtaking views and vistas of Florida’s best sand hill forests. The Ichetucknee River connects to the Santa Fe River, offering an easy exchange for canoers and kayakers. It’s also located near the High Springs area, a region in north Florida known for dining, shopping and sight seeing. Falling Creek Falls is a Columbia County hidden treasure. It’s a short but scenic hike through the historic, first-known settlement in the Columbia County area, and is located just off of I-10. The Falls’ paved path is manageable for children and adults of all ages, and its smooth, earthy terrain allows easy, leisurely stroll through the area’s natural elements. The path is also wheelchair accessible and features a playground for children. The Falling Creek Falls path leads to a 10-foot waterfall that pours over a limestone rock formation, which formed from the area’s deep ravine. The area features picturesque views perfect for a scenic picnic or afternoon lunch, and a refuge for relaxation seekers. Columbia County offers many different lodging options. The O’Leno State Park, Ichetucknee Springs Campground and River Run Campground are popular campsites, which are ideal for nature lovers and adventure seekers. Ichetucknee Family Canoe & Cabins, Rum Island Retreat and Rum Island Cabin are cozier, more secluded options, and the Cabot Lodge Lake City, Comfort Suites and Country Inn & Suites offer visitors a more mainstreamed lodging experience.